The Garden Walk Collection was recognized as a Best of NeoCon Gold winner in the Healthcare flooring category. As Tandus Centiva’s latest style ideal for senior living and hospitality, this soft surface healthcare collection that features ColorPoint broadloom, Powerbond® and modular tiles. Based on the evolving needs of the next generation, the new Garden Walk Collection features smaller, more contemporary patterns and soft, neutral palettes inspired by natural elements. Inviting, reflective and restorative, these spaces are designed for body, mind and soul. 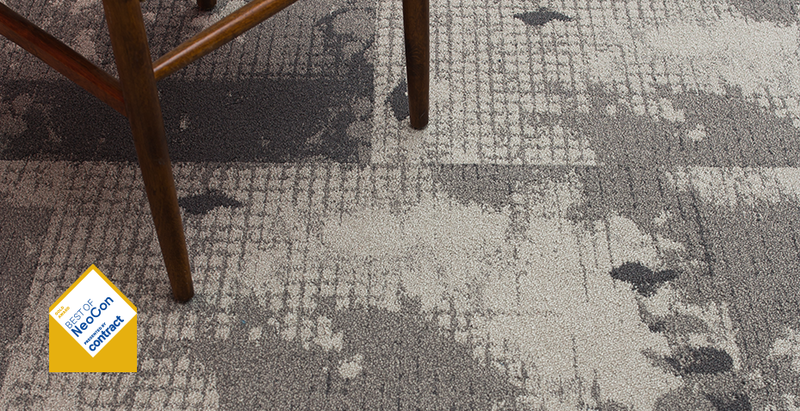 The Woven Fringe Collection took home a Best of NeoCon Gold in the Broadloom carpet category. As is the case with most of the world’s greatest innovations, the Woven Fringe Collection is the result of a happy accident. When the team set out to create a refined matte, flatweave surface, they were challenged to eliminate uneven color streaks, and looked for ways to diffuse or mask this undesired visual. During early production trials, they were pushing the loom wire mechanism to its limits, and caused the wire repositioning to misfire. Though the result was unintended, its visual stopped them in their tracks. The misfiring wires created a line of long, uncut face fiber—or fringe— across the weft. This effect mirrored the fringe selvedge edge that a velvet weaving loom produces on every carpet it weaves—and became a source of inspiration the design team has used as a muse for years. Though the visual was inspiring, they struggled to reproduce its effect in a predictable, safe way. 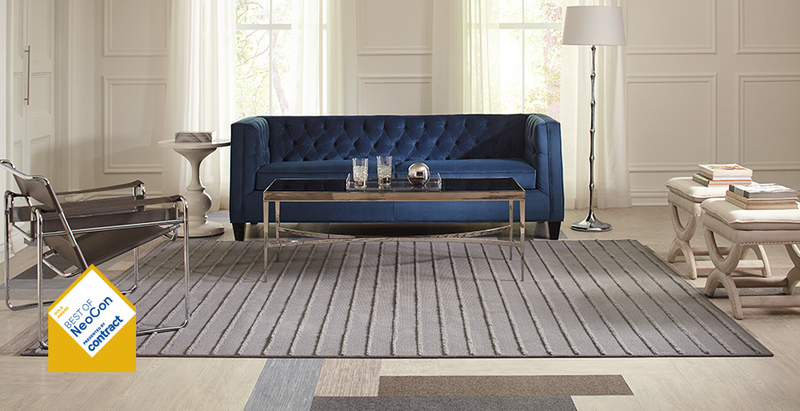 Finally, after multiple trials, they have honed this technique and discovered a way to safely recreate the fringe effect in a consistent manner—paving the way for Velvet Fringe broadloom.